As you know, you should change the oil in your engine about once a year, after you've driven a set number of times, when it's become dirty and gritty, or when your engine asks for it (through the signs in the dashboard). If, however, you don't know why should take care of this crucial maintenance task, you should continue reading below. First and foremost, you need to understand what synthetic motor oil does for your engine and your vehicle's overall condition. Firstly, it coats the different components that make up your engine, helping them stay protected from the friction that goes on when they move around. This prevents wear and keeps them in top working condition for longer. Secondly, it smooths out the processes in your engine, meaning that it will more run efficiently and perform as desired. Also, it helps regulate the temperature inside the engine, which can decrease the chances of your engine overheating and shutting down. All in all, it does great things for your engine and your vehicle's performance. As previously stated, the motor oil needs to be replaced whenever you see it has a darker color and a grittier texture. If you don't know why that happens or why it's bad for your engine, however, you should be aware of the dust that can accumulate in your vehicle. Yes, your engine has an oil filter, which helps keep the gunk away from it. Unfortunately, some dust, sediments, and other filth can get through it. The motor oil picks up those nasty particles (which are what change its color and texture), and then moves them through the engine. The problem is this can actually accelerate its wear. Changing the oil regularly keeps this from happening. Yes, synthetic motor oil can actually help your engine regulate its temperature, and it can play an important part in preventing its overheating. This doesn't mean, however, that it doesn't fall victim to the extreme temperatures that originate within the engine. On the contrary, while synthetic motor oil can be more resistant to the heat than its conventional counterparts, after some time, it too will become thin and inefficient. That's why, unless you want your engine and its components to be exposed and unprotected from this change in the oil's consistency, it is imperative that you replace it whenever you deem necessary. If you notice that the time to change your vehicle's synthetic motor oil is now, provide the maintenance it requires with help from Superior Synthetics LLC in Marion. They work with AMSOIL high quality products, which will keep your engine working in perfect condition for longer. Call (715) 823-6525 for more information, or to purchase the best synthetic motor oil in Marion. 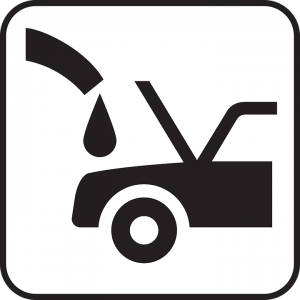 This post has discussed what the synthetic motor oil does for your engine a few times over. However, you may not be aware of the consequences that may come with not being diligent with its replacements. For starters, you may find yourself with a vehicle that won't run or that stops suddenly from the damage the friction has caused on its unprotected engine. This also means that you're more likely to get into a car accident from a vehicle malfunction, since your engine won't respond to your commands as expected. Lastly, you also run the risk of having your engine overheat and shut down on you while on the road. Finally, it's also a very good idea to take care of your vehicle's synthetic motor oil replacements if you have an interest in saving time and money. As you can imagine, an unkempt engine has a shorter lifespan. This means that you will have to spend a lot of money and time dealing with the consequences, and getting the engine fixed or replaced. So, next time you don't feel like spending a few bucks on oil, or are putting off your vehicle's visit to the mechanic, consider how much more expensive and time consuming it can be to deal with a damaged engine, component, or vehicle. Remember that Superior Synthetics LLC in Marion works with AMSOIL products, which means you can contact them if you want your vehicle to continue running perfectly for a long time. Call them at (715) 823-6525 or visit their online store if you'd like to place an order for the most effective synthetic motor oil in Marion.